Deke Dickerson Sings the Great Instrumental Hits!!!!!! It’s like amplifying the experience of hearing Lorne Greene sing the theme to “Bonanza” after only having known it as an instrumental. Instrumentals have fallen out of fashion over the decades yet fans remain. But the vocal instrumental subgenre is about as esoteric as it gets. 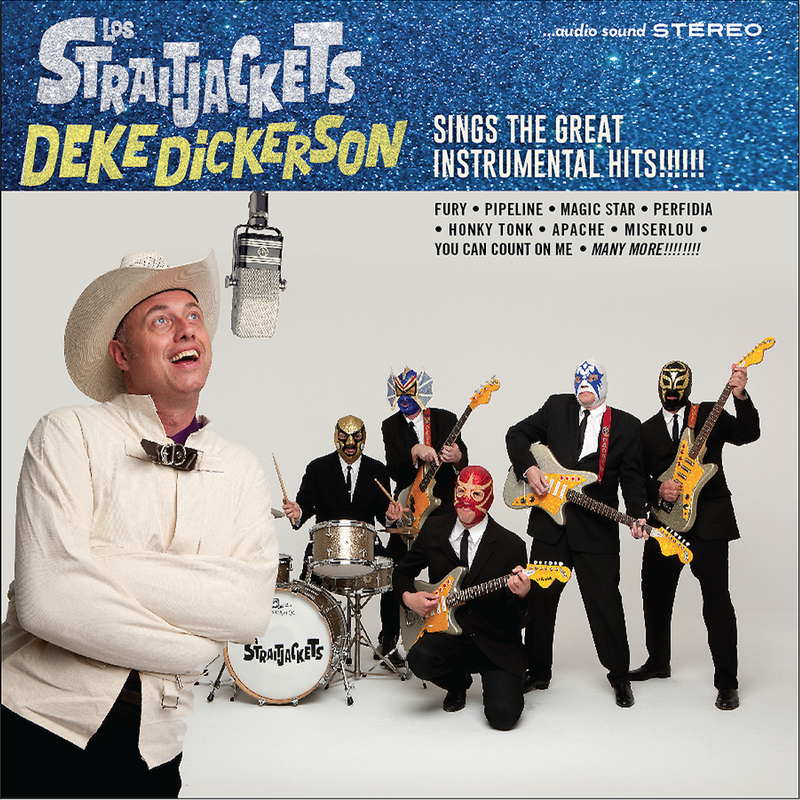 And Dickerson — a rockabilly, hillbilly-jazz and surf artist who also collects music outside the norm and beyond — wants to share it via renditions of a few choice examples, with the help of instrumental combo Los Straitjackets. “Most famous instrumental hits either started out as vocal songs, or — even better — were written as instrumentals, became hits, and then some knucklehead came along and wrote lyrics for them after the fact,” Dickerson explains in the album’s press release. Songs here originally composed with lyrics are “Theme From a Summer Place,” “Perfidia” and “Misirlou,” given Beach Boys, ska and exotica arrangements, respectively. The rest are instrumentals that had “knucklehead”-penned lyrics added later. Some of the best are Bill Doggett’s “Honky Tonk” (Doggett himself put out the vocal version as a follow-up single to the instrumental); the Shadows’ “Apache” (uniting disco, hip-hop, surf and country); “You Can Count on Me” (sung to the tune of the theme from “Hawaii 5-O” and sourced from Sammy Davis Jr.’s 1976 version); and “Popcorn” (the Gershon Kingsley moog classic popularized by Hot Butter and later performed with vocals by French band Anarchic System). And just as Murray’s Nick Winters pines for “those Star Wars” and pleads, “Don’t let ’em end,” so, too, might listeners of this album of reverently irreverent modifications of long-buried treasure be left wishing for a “Vol. 2” from impresario Dickerson and his lucha libre mask-wearing sidekicks.